Thousands of people gather at Northerly Island Saturday to remember the Great Chicago Fire. CHICAGO (WLS) -- Thousands of people gather at Northerly Island Saturday to remember the Great Chicago Fire. 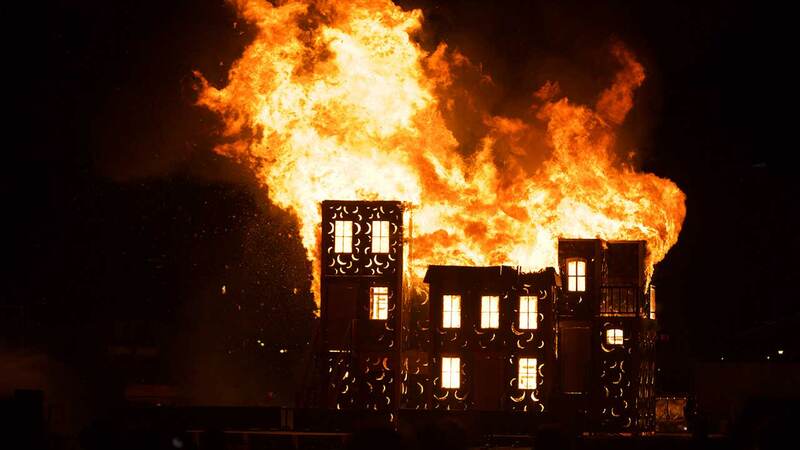 The Great Chicago Fire Festival celebrates the re-birth of the city following the devastating fire in 1871. A Grit House was set on fire to signify the start of the blaze. Local musicians also entertained the crowds.